Rep. Mike Amyx, and Sen. Marci Francisco, both Lawrence Democrats, applaud dignitaries present for Gov. 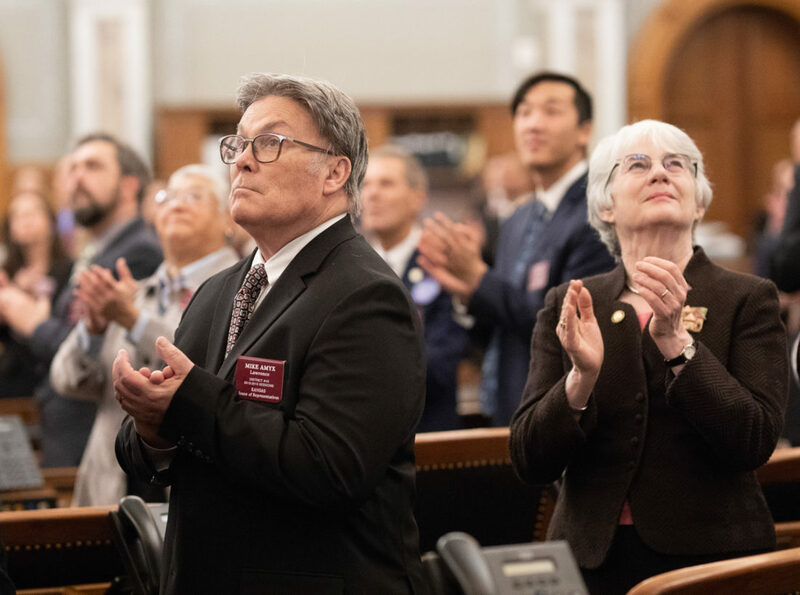 Laura Kelly's first State of the State address Wednesday, Jan. 16, 2019, in the House chambers of the Kansas Statehouse. 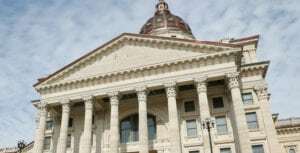 Lawmakers representing Douglas County in the Kansas Legislature were glad to hear Democratic Gov. 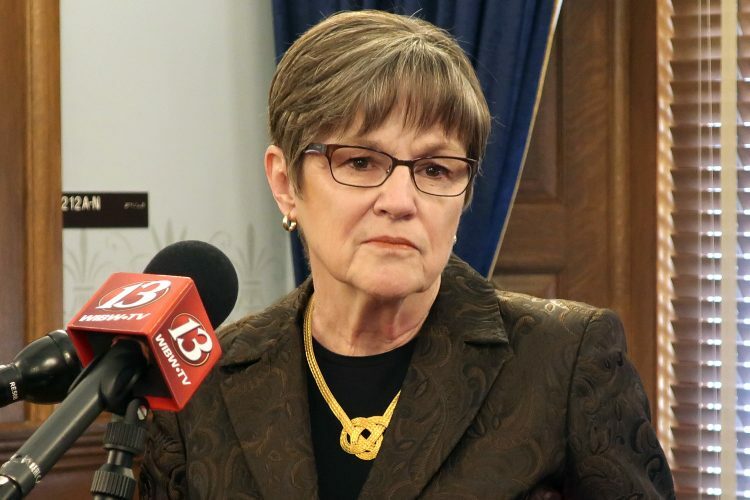 Laura Kelly’s focus on three main issues during her State of the State address Wednesday. Kelly gave her first address to the Kansas House of Representatives and Senate Wednesday, focusing on those three issues while also promising to not raise taxes to pay for them. She released her proposed budget to lawmakers Thursday morning, giving them an idea of how she suggests the state pay for those priorities. “I was pleased that she stressed she would stay with her promise to not raise taxes,” Karleskint wrote in an email Thursday before the budget was released, adding that he was anxious to see the specific numbers in her proposal. Karleskint’s agreement with Kelly to expand Medicaid breaks away from the Kansas Republican Party’s official response to her address. Republican leaders in the Legislature are resisting the expansion of Medicaid, arguing it would be too costly for the state, even if the federal government picked up part of the costs. Kelly argues the expansion would provide health care coverage for needy families and help rural hospitals in dire need of the additional revenue. The other Douglas County representatives, who are all Democrats, expressed gratitude for Kelly’s focus on those issues and calling for a bipartisan approach to address them. Rep. Boog Highberger, D-Lawrence, said he appreciates the call for bipartisanship. 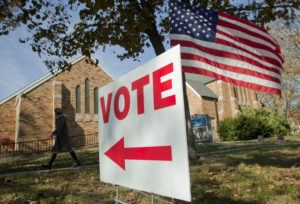 “She made it clear that she is ready to work with legislators of both parties to build great public schools, expand Medicaid coverage, and to fix our broken foster care system,” Highberger said. Rep. Barbara Ballard, D-Lawrence, said Kelly’s focus on shoring up the foster care program and the Department of Children and Families was a good moment of bipartisanship. She said normally lawmakers of each party will separately stand and applaud during the State of the State address when the governor mentions issues they support, but when Kelly mentioned her plan to address the child welfare system, lawmakers of both parties stood and clapped. “I think it was an outstanding speech,” Ballard said. Sens. 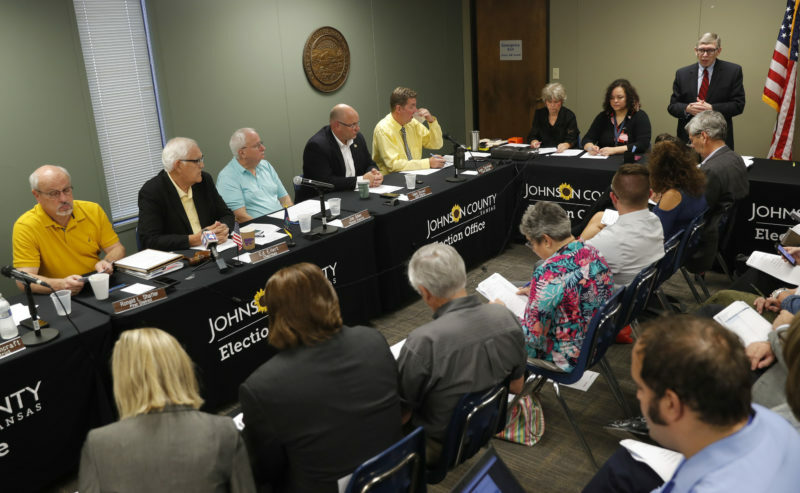 Marci Francisco, D-Lawrence, and Tom Holland, D-Baldwin City, both said they thought Kelly clearly outlined the state’s priorities. 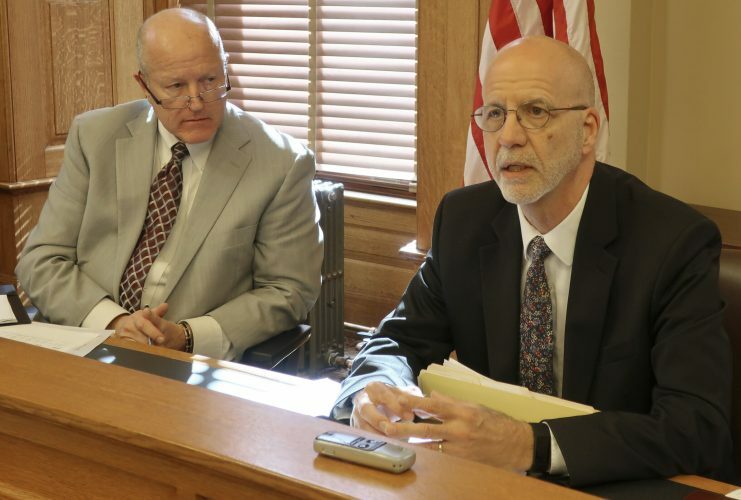 “I’m excited to work with our new governor as we move forward in shoring up critical Kansas state government services while continuing our march towards fiscal stability,” Holland said. Rep. Eileen Horn, D-Lawrence, agreed, noting she was also excited to see Kelly speak to the lawmakers as her colleagues, rather than adversaries of another branch of government. She said since Kelly was a member of the Senate just a month ago, the governor is aware of the challenge that lawmakers are facing. Horn said she was also happy to hear Kelly’s acknowledgement of a newly created House committee, of which Horn is a member, that focuses on issues faced by rural communities. “I’m glad she gave us a shoutout,” Horn said. The newest lawmaker in Douglas County, Rep. Mike Amyx, D-Lawrence, said he also was happy to hear Kelly’s focus on rural communities in addition to her focus on the three main issues.